There will be something special in the air and on the ground for the area come the middle of June. 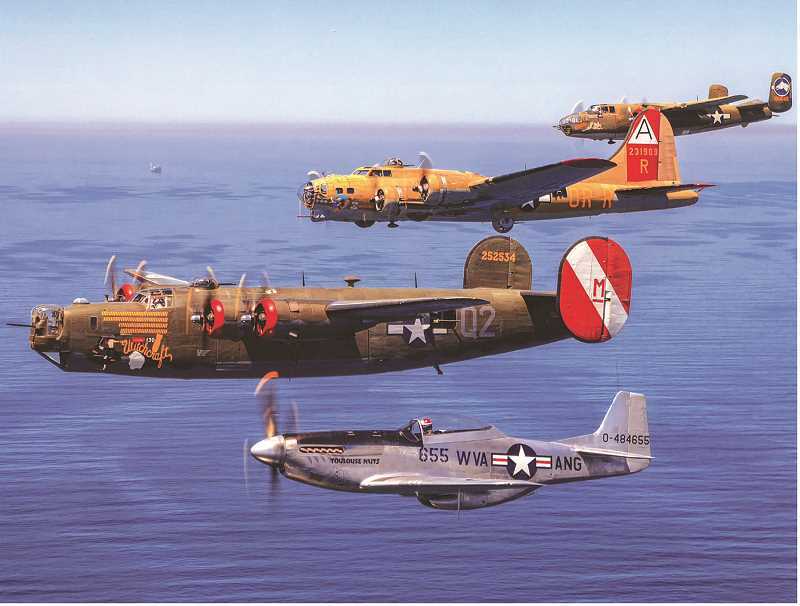 The Wings of Freedom Tour of the WWII vintage Boeing B-17 Flying Fortress, Consolidated B-24 Liberator, B-25 Mitchell and North American P-51 Mustang will be at the Aurora State Airport June 15 to 17. The B-17 is one of only eight in flying condition in the United States while the B-24J is the sold remaining example of its type flying in the world. Visitors can explore the aircraft inside and out. Cost is $5 for children ages 12 and under and $15 for adults. Visitors may also experience a unique opportunity to take a 30-minute flight aboard the aircraft. Flights on either the B-17 or B-24 are $450 per person. B-25 flights are $400 per person. P-51 flight training is $2,200 for a half-hour, $3,200 for a full hour. For reservations and information on flight experiences, call 800-568-8924. The Wings of Freedom planes will land in Aurora approximately 2 p.m. on June 15 and be on display until the evening of June 17. Tour and display hours are 2 to 5 p.m. on Friday, June 15, 9:30 a.m. to 5 p.m. on Saturday and Sunday, June 16-17. The Wings of Freedom Tour travels the nation as a flying tribute to the flight crews who flew them, the ground crews who maintained them, the workers who built them, and all those who were part of that era of flying.